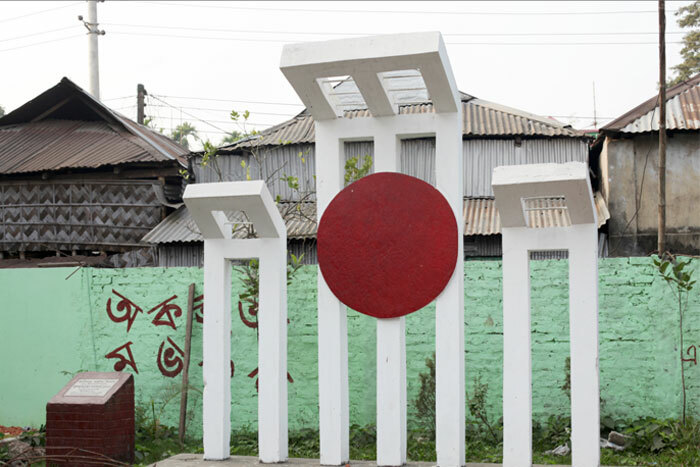 Raniganj Bazaar is expatriate inhabited is of Jagannathpur thana (police jurisdiction) of Sunamganj district. This bazaar by the river Kushiara was the central business point of this area. There were hundreds of shops in this bazar and businessmen and buyers for wholesale and retail used to come here from far away. 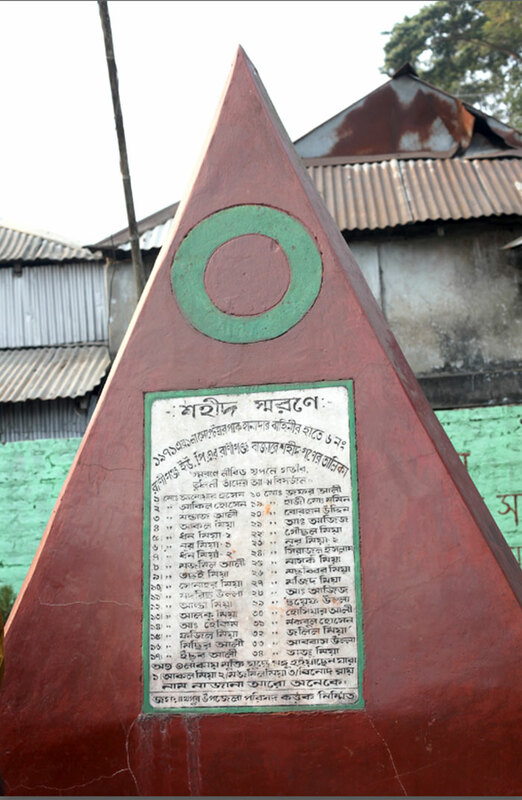 Pakistani army along with their collaborator razakars attacked Raniganj Bazaar on 1 September in 1971. They have captivated and killed approximately 150 local and outsider sellers and buyers. Tying their hands at their back and taken them to the river bank, they were shot. They shot them to be assured about their death, afterwards they were floated the bodies into the river Kushiara with the help of sticks. The whole of the rich shops and the houses were torched pouring petrol. 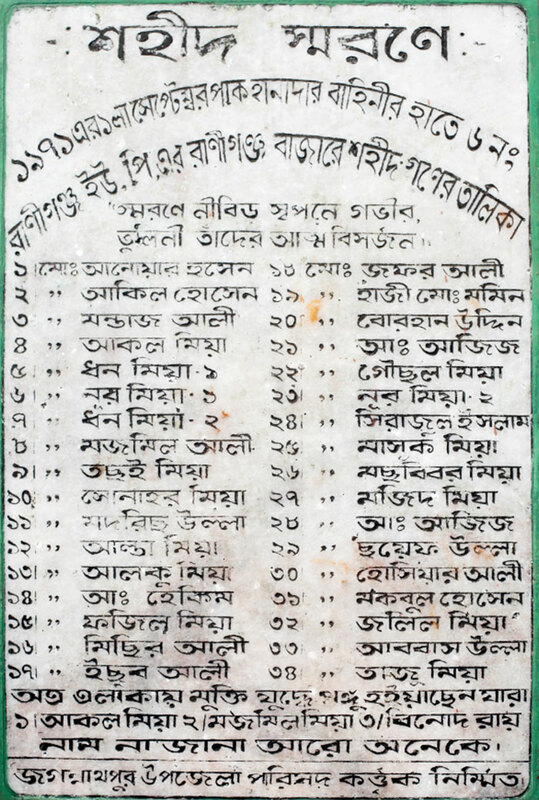 After the liberation in the cenotaph in memorium of the martyrs in Raniganj High school only 34 were able to be mentioned. It was not possible to find out the names of the businessmen and the buyers that came from outside. The only living witness to this massacre is Mazmil Ali. Young and wood merchant Mazmil Ali was taken away by the razakars of Pakistani army while he was eating. He was one of the unfortunates who were shot on the bank of River with their hands tied on the back. The first bullet has hit his leg, the other took away the lower part of his body. The assassins later examined whether he is breathing or not. Mazmil Ali kept his breath stopped. Then they pushed the bodies into the river, fortunately he fell into the shallow water. From there he saved his life hiding in a thatched toilet. We were able to record his testimony on how he was rescued from that terrible situation, how he was taken to Sylhet amidst of the war, amputation of his leg and more. 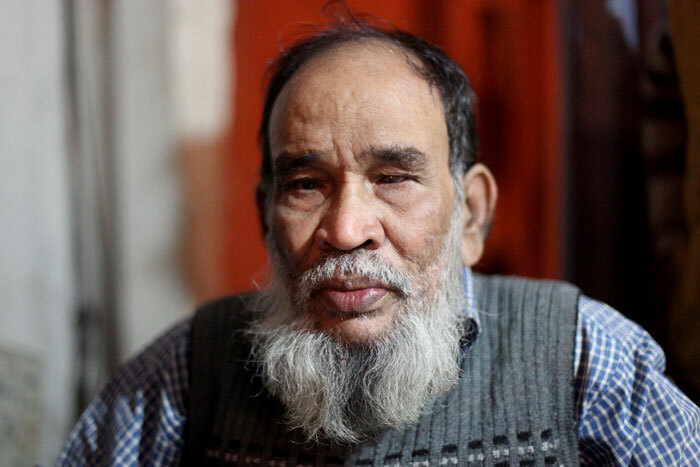 In this interview, he clearly named the murderous razakars.